As you’re making your transition, unwanted hair that keeps cropping up can be annoying and embarrassing. No one wants to shave, wax, and pluck only to have the hair return a couple days or weeks later. What if you could get rid of the hair permanently? We can do that, getting rid of unwanted hair is all we do, and we have various methods for different areas of hair growth. We aspire for Romeo & Juliette Laser Hair Removal to be the go to spot for transitioning clients, as we are experts in the field for over 18 years and know how to remove hair in a private and discreet setting. Our experienced team members will work with you hand in hand to achieve your goals. Why Should I Make Laser Hair Removal A Part Of My Transition? When you are a MTF (male-to-female) transitioning individual, you have no doubt tried pretty much every way of getting rid of unwanted hair already. But endlessly waxing and shaving is annoying, plus it leads to unsightly razor burn, ingrown hairs, stubble, and razor bumps. And your skin hates all of it! If you can get rid of 85% of the hair for good, what’s not to love? That’s how we can help at Romeo & Juliette Laser Hair Removal. Our 12 state-of-the-art hair removal lasers target the hair follicles, damaging or destroying them and stopping them from growing hair. Individuals who are MTF transitioning have probably considered laser hair removal, but may have heard it’s painful or that it doesn’t work. At Romeo & Juliette Laser Hair Removal, we have 12 lasers that beg to differ. We pick the appropriate laser that matches your skin type, hair color, and the treatment area. We set the laser wavelength to match the color of your hair. Then we deliver short pulses of laser energy onto the unwanted hair. The melanin in each hair absorbs the laser light energy, which instantly converts to heat. This heat then travels down the hair shaft into the hair follicle, where it is anchored. The heat damages or destroys the hair follicle, precluding it from growing hair in the future. The trick is to catch the unwanted hair in the growth phase of the hair lifecycle. The roughly 5 million hairs on the human body are sneaky because they each operate independently of one another. Each hair follicle is constantly moving from the growth phase to transition to rest. During transition and resting phases, the follicle is already shedding the hair, so the laser energy cannot get down into the follicle to damage it. That’s why repeated laser hair removal sessions are necessary to catch as many hairs as possible in the growth phase at once. Laser hair removal permanently removes about 85 percent of hair growth, although on some areas, such as the chest, the percentage is even higher. That makes laser hair removal the best way to deal with unwanted hair in your transition. Why Is Laser Hair Removal Ideal For Transitioning? There is no comparison between the effectiveness of laser energy for hair removal and other methods such as shaving. It’s perfect for large areas, such as the face, legs, underarms, chest, and back because the laser energy can target large areas with each pulse. This is in stark contrast to the one-by-one removal with electrolysis. By damaging the hair follicles, the surface skin is not damaged at all. You certainly can’t say that about waxing or shaving. When you compare the pain, there’s no comparison either. Waxing large areas, such as the underarms or chest, can be akin to medieval torture. With laser hair removal, you’ll feel a sensation similar to a small rubber band being plucked against the skin when the laser energy is delivered. There is some sensitivity afterwards for a couple hours, but that can be handled with over-the-counter pain medication. That’s it. Although you can’t get rid of every hair, 85 to 90 percent hair reduction sure is helpful during your transition. How Does Hormone Replacement Therapy Affect Laser Hair Removal? As you’re undergoing hormone replacement therapy with your MTF transition, your hair growth patterns will begin to change. But this takes time. To accelerate the process, combining HRT with laser hair removal can be really effective. The laser treatments are completely safe during HRT, so you can do both at the same time. Some people transitioning want to see how their hormone replacement affects their hair growth patterns before investing in wholesale laser hair removal. Instead, they have laser removal done on priority areas that are very visible, such as the face. This really speeds up the process. Click here to view more before and after images. Do I Need To Tell My Romeo & Juliette Team Members About Which HRT Medications I Am Using? Yes, we should know which hormone therapy medications you are using prior to your treatments. For some of our lasers, this can make a difference. Do I Need To Be On My HRT Medications During My Hair Removal? No. The hormone medications will begin to change your hair growth patterns, but you can have laser hair removal before, during, or after HRT. When Is The Best Time During My Transition To Opt For Laser Hair Removal? As mentioned above, some people want to see how HRT will affect their hair growth before going all in on laser hair removal. Others want to speed the hair removal by doing both at the same time. Many who are MTF transitioning choose to come to us for laser hair removal prior to starting their HRT to give the process a jump-start. 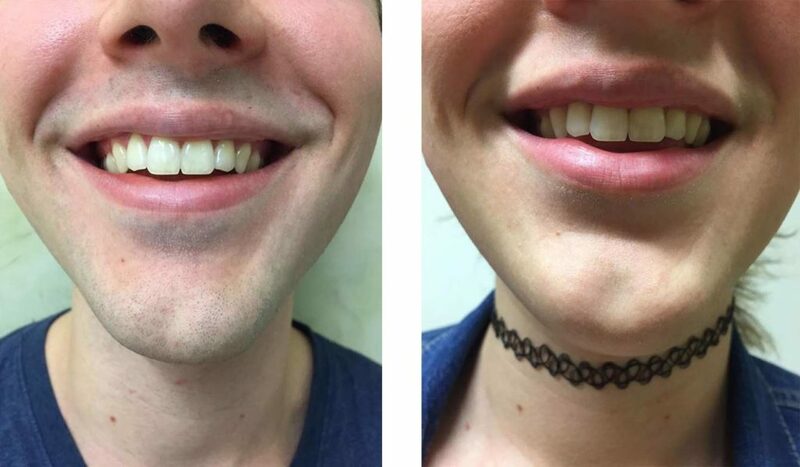 After all, the sooner you can get rid of your facial and chest hair the better! Can I Wear Makeup After My Laser Hair Removal Session? After your laser session, the pores where your hair follicles reside will be a little sensitive. You can wear makeup to conceal any lingering redness, but if you can go without that’s not a bad idea. If you can schedule your session at the end of the day, then you can let your skin rest overnight and that should be sufficient. If you are interested in learning more about transgender laser hair removal, contact us 212-750-2000 at to schedule an appointment.